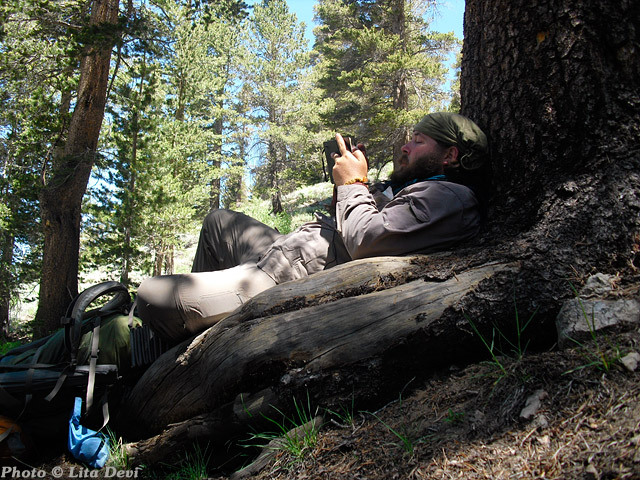 Taking a break to journal while hiking the Pacific Crest Trail in 2011. 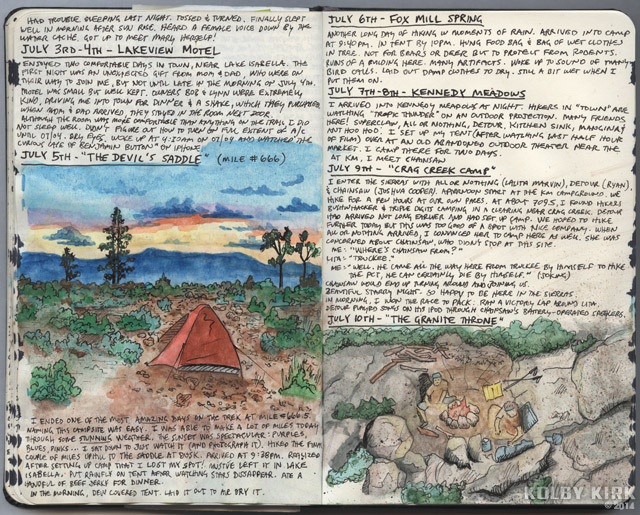 Join outdoorsman Kolby Kirk for a 2-session workshop on outdoor journaling. 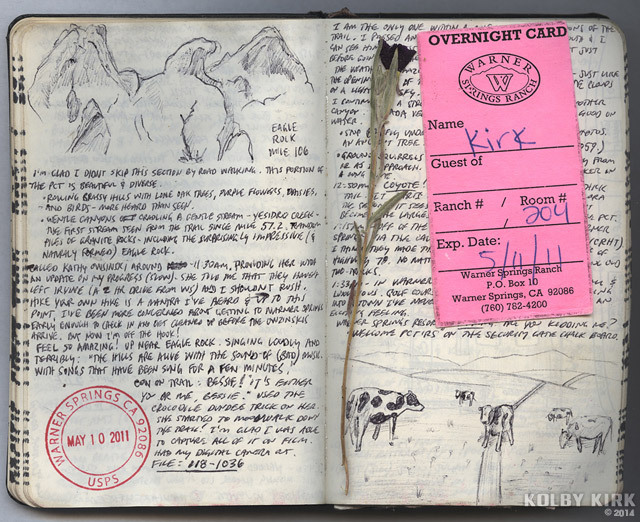 Participants will spend time in the woods learning about how to translate your surroundings into words and sketches. 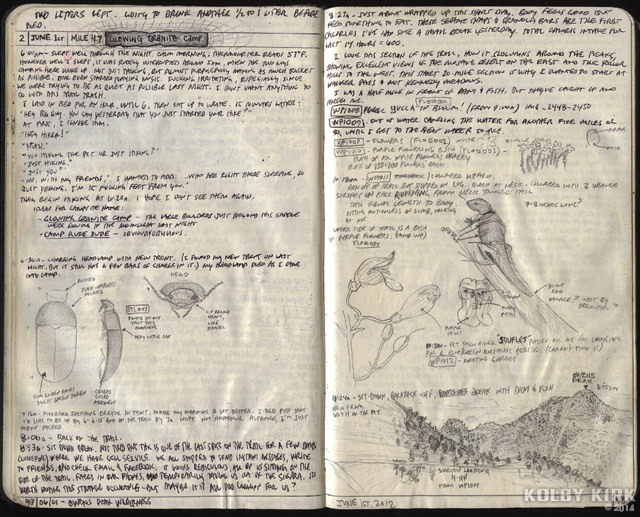 Among the skills taught will be how to overcome the ‘fear of the blank page,’ ideas on journal layout and organization, and journaling for yourself and for others. Participants must be prepared to see the little things in nature, so wearing appropriate clothing for studying the forest floor is a must. List of items that should be brought: layers of clothing, footwear with a good tread, and a sack lunch. Optional: a magnifying glass. 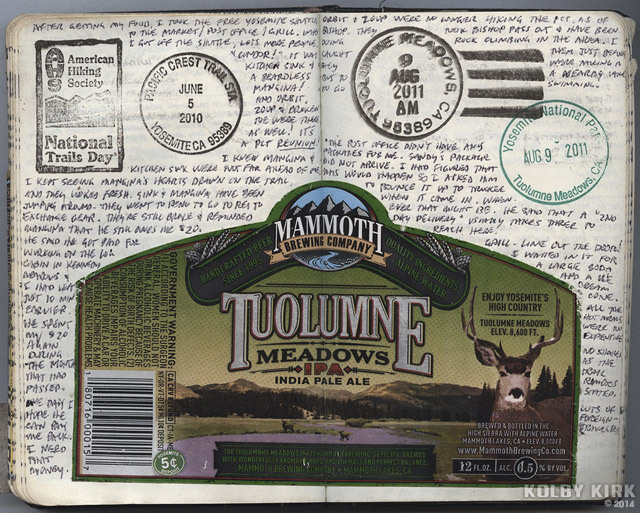 A journal and pen/pencil will be provided, but feel free to bring your own ongoing journal. Class Fee: $50 each or $90 for both. Pre-Registration is required. To sign up, either navigate to The Nature of Words, email info@thenatureofwords.org, or call (541) 647-2233. 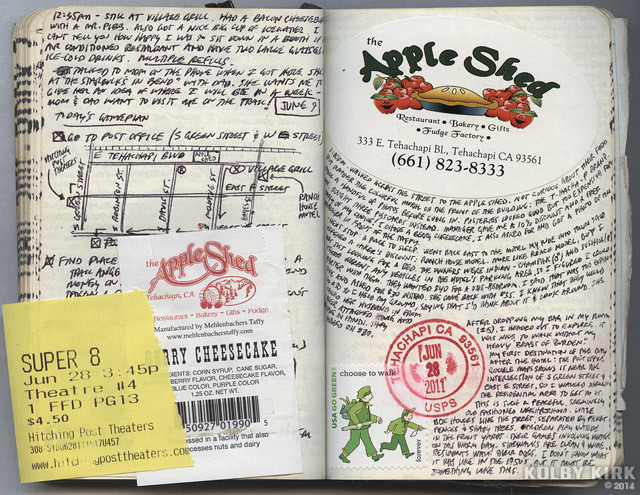 To read more about my journaling here on this site, check these stories out.